Why You Need This: The one thing both your hands spend the most amount of time touching when riding your bike are the handlebar grips. Since that is the case, lets make sure they not only feel good but look good as well. These GT style motorcycle grips are cushioned in the middle to give your hands a bit of relief from any riding vibrations you might feel along the road and will add that classic European (dare we stay Italian) look to your Honda CB350, CB360, CB450, CB500 or CB550. 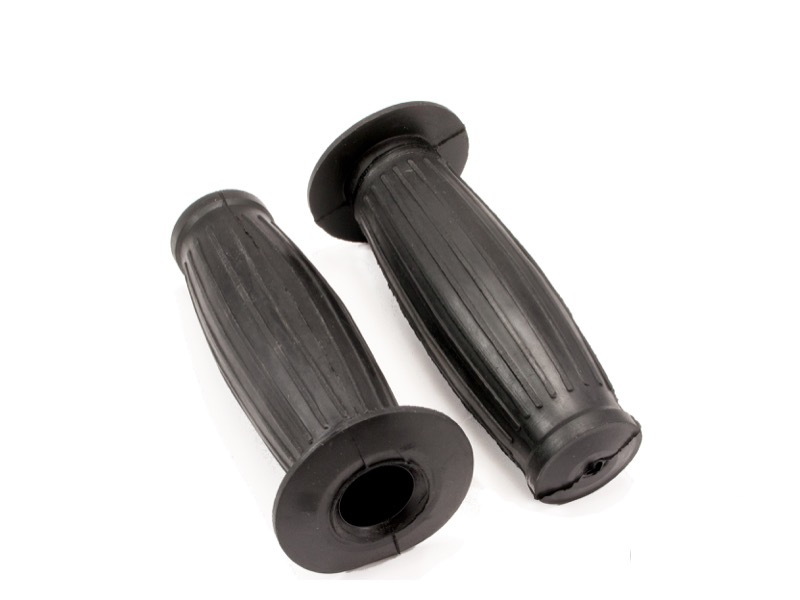 Made from black rubber and sold as a pair, these GT style motorcycle grips measure approximately 5 1/4" (133 mm) long. 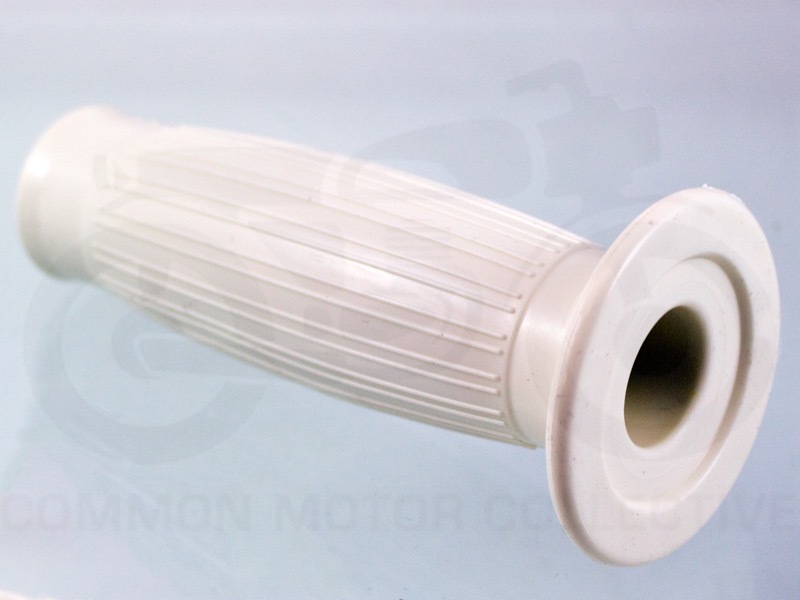 These Handle Bar Grips are the perfect finishing touch to a new front end set up on your Honda CB350, CB360, CB450, CB500 or CB550 and compliment our superbike bars or universal throttle control well. Installation Tip: Handle bar grips are left and right specific. 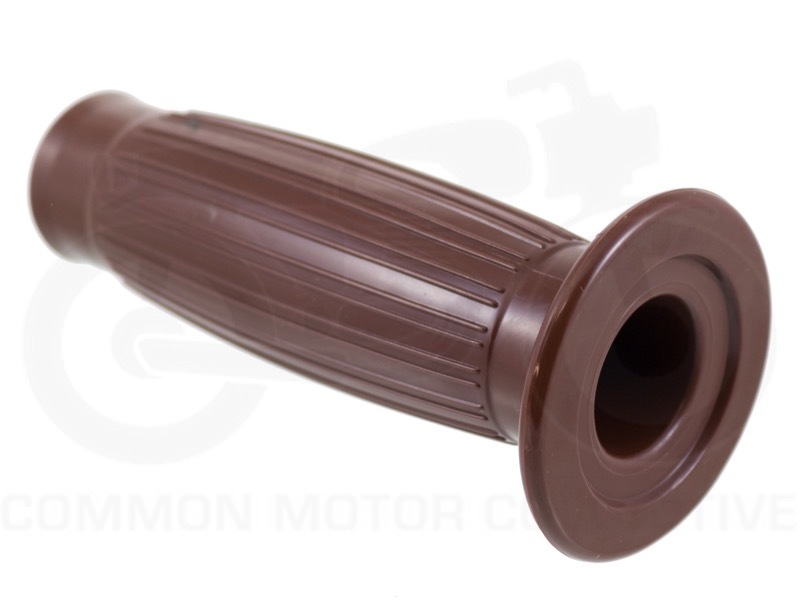 The left side (clutch side) grip has a smaller inner diameter of 7/8" to fit on the handlebar, while the right side grip (throttle) is a bit larger in diameter to fit over the nylon throttle tube. Use a bit of Windex to lubricate the inside of the grips when installing them on the handlebars. Be sure to leave little bit of room between the switch box and the left side of the throttle grip to keep it from rubbing on the side of the switch box. Grips are nice and seem well made. They aren't as cushioned feeling as the other gt grips I have bought in the past, but so far I like them. They went on pretty easy with some LPS lube and a rubber mallet. I put white ones on my 73 350 Scrambler for a Moto Giro and got MANY positive comments from the older generation that used to have the bikes growing up. VERY COOL! I was expecting inferior quality, and what i got was durable, and economic. The fit was a little snug. I used a little baby powder and a rubber mallet and on they went. Loved them, got rid of the bling bling ones. Easy to put on with a little soap. 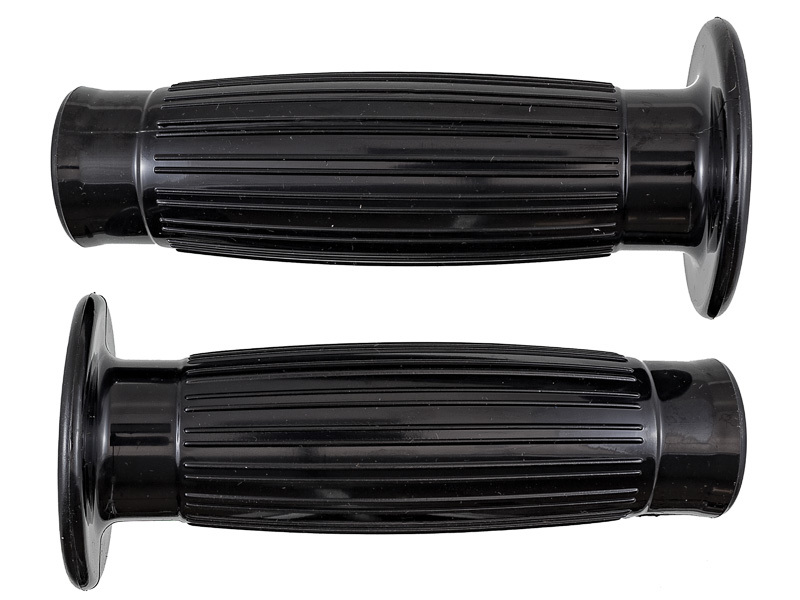 I ordered a pair of these old school grips for my 68 CB350. My stock grips were fine but skinny and tough on my hands on long rides. I like the feel and look of these much better. They provide extra vibration protection and just feel better on my hands especially on long rides. They also look perfectly cool on the bike!